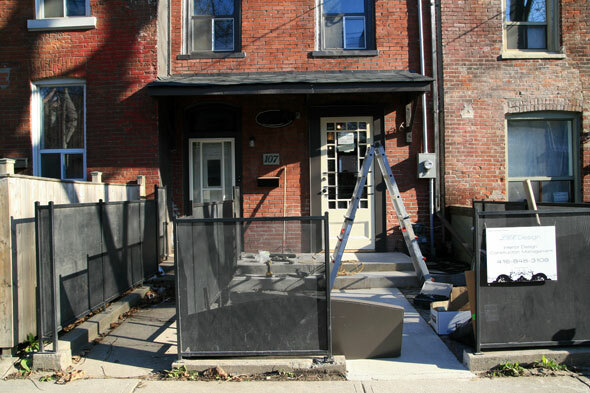 On Portland north of King, Jimmy's Coffee will be opening this week in a formerly rundown house by Devil's Martini. With La Merceria, SpiceSafar, Nook and Zoe's Bakery Cafe all within a block or so I'm not entirely convinced the area needs a new cafe but a spy tells me it will be an "amazing space for espresso lovers". The Terroni empire is expanding. The latest outpost will be right next door to Osteria Ciceri e Tria on Victoria St. Vince Mammoliti told Toronto Life that it will be "an informal space where exclusive wines can be enjoyed at an enoteca featuring rustic food along with some Terroni classics." 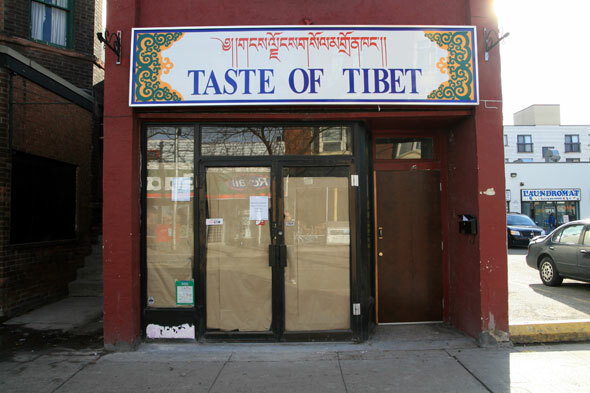 In Parkdale, the Taste of Tibet is no more and will be replaced by something called Om Restaurant. 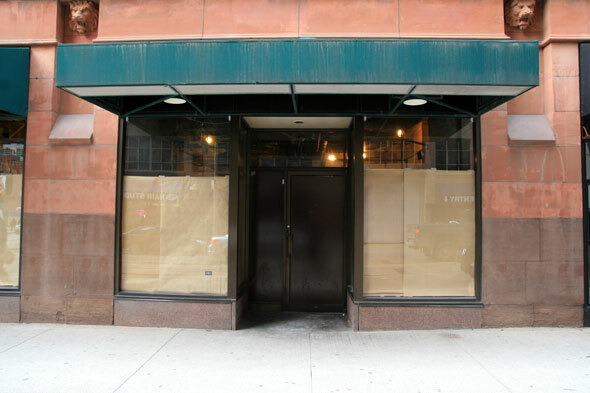 A sign on the door promises the menu will feature Indian and Tibetan food. 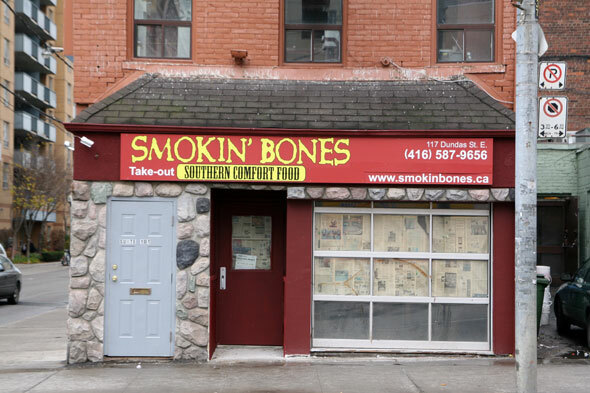 And finally, on Dundas East near Jarvis, Smokin' Bones will be serving up southern comfort food to Ryerson students and others in the area. Seems like this stretch is suddenly on its way to becoming a bit of a comfort food mecca.